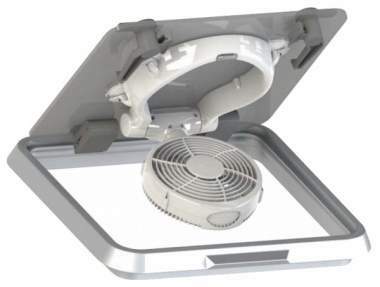 Keep cool with this easy-to-install hatch fan featuring push button controls, LED lamp, and suction cup mounts. 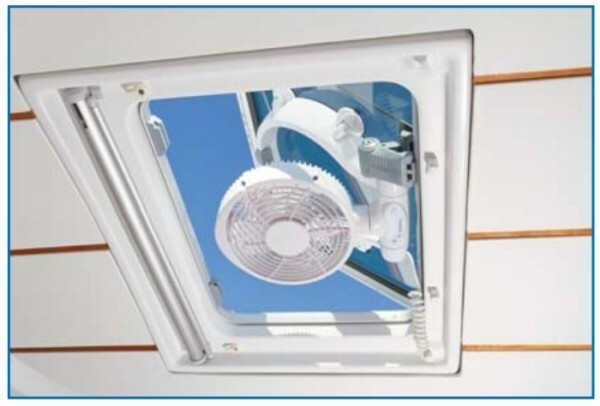 With a pivoting axis, this versatile fan can be swiveled to exhaust air out of the cabin or to bring fresh air in. 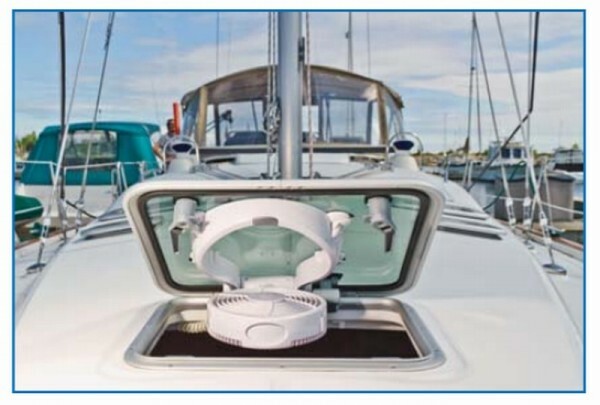 Not just a hatch fan, the versatile 12 Volt Taku can also be swung down into the cabin and swiveled 360 degrees to direct a cooling breeze right where you want it. Installs on most hatches 17 inches across and larger.